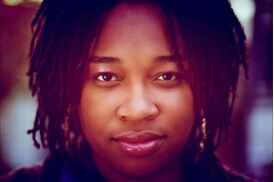 Welcome to the Black History Mini Docs Blog featuring writer, producer and editor of this page Ah-Keisha McCants. BHMD seeks to offer commentary on current events, articles on black history and history makers and their relevance to the present day, cultural celebrations, literary highlights, community outreach, artwork, prose, poetry and musings that reflect on experiences within communities of color in America and abroad. BHMD welcomes guest contributors to submit their own commentary pieces, historical explorations and current events to our blog!